COLUMBIA, Mo 4/6/14 (Beat Byte) -- As Repeal 6214 closes in on collecting enough petition signatures to overturn the Columbia City Council's 4-3 approval of a 6-story downtown student apartment last month, new details have emerged about legal and due process violations partly motivating the effort. 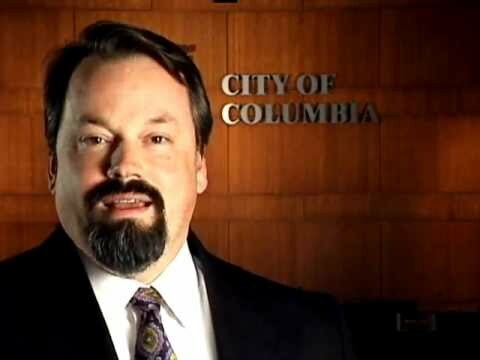 The violations have fueled charges Columbia city manager Mike Matthes is an "out of control bulldog" hired for his ability to ram through unpopular policies. As head of Des Moines, Iowa's public housing authority, Matthes led a "fire sale" of public housing to private investors that sparked statewide outrage. Columbia City Ordinance 2-22 requires the Mayor, Council members, and city manager to follow a process akin to serving a summons or subpoena to call a special meeting. Just like you can't start a lawsuit without a physically-served written summons, City Hall cannot hold special Council meetings without physically-served written notices. The law says a police officer must physically serve each Council member (or a bona fide representative) at his/her home or business with a written notice of the special meeting. But Matthes publicly admitted disregarding the law when he "verbally" called two special Wednesday lunch meetings for Council members to debate and hear testimony about 1,335 new student apartments in the downtown area. The Council normally meets every other Monday at 7:00 pm, mostly to accomodate public hearings. In an unusual interruption of public testimony at the Council's regular March 17 meeting, Matthes told the audience how he called the two special meetings, in an exchange that begins at 1:30:20 in this video. "I do feel the need to clarify," Matthes said, after attorney Jeremy Root testified the special meetings violated the law. "I did call for these meetings." "In what fashion?" Root asked, already leaving the podium. Columbia City Ordinance 2-22 requires "a police officer to serve a notice upon the members of the Council of the time fixed for such special meeting, or leave a copy of such notice at the usual place of residence or business of such Council members with some member of his family above the age of fifteen (15) years, or with the clerk, agent or representative of his business." The ordinance is similar to local and state laws around the country requiring unusual and even dramatic measures when lawmakers alter meeting times or other voting-related procedures. One recent example: state police reportedly sought to return Wisconsin legislators boycotting a vote on Governor Scott Walker's union-busting bill. Columbia City Council members approved two of the student apartment projects and tabled a third until May. Speakers representing Repeal 6214 will speak at tomorrow's regular City Council meeting.